A regular, high quality ungimmicked die. White with black dots and rounded corners. Approximate size is 16mm. 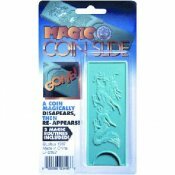 Perfect for replacing in games, or swapping out for gimmicked dice in magic tricks in order to give away as lucky souveniers. Peel off the paper and stick on the window. You will then get the illusion of the broken window. Drop it in a drink and listen to them toot! Golf Tee's or Tease, you decide? 6 per Pack. Load a Cap in and set under anything for a bang. Note : You receive ONE of these mechanisms. Not an entire bag like shown on the picture. An All-Time Classic Squirt someone or something and in a few seconds the mess Disappears! 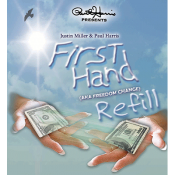 Use with the Squirt Pen and refill when needed. Gift for the golfer with a close girlfriend. Drop one of these pellets into someone's drink while no one is looking, and a full length life-like meal worm instantly appears. If you are quick enough, the victim will think there is a real worm in their drink. Appears to be an ordinary piece of wrapped candy. When they unwrap it a "BANG!" Put it on a chair and wait for them to sit on it. 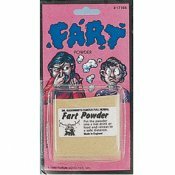 Farting Joke! 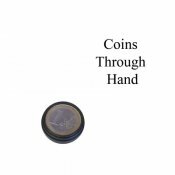 With this easy to do trick you make a coin go through your hand in an instant. 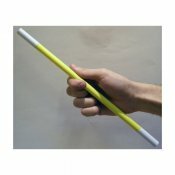 Shake hands with a vibrating surprise for your victim! Affectionately called "Dog Dirt", this fake poo is real enough to fool almost anyone! Splash a little water on it for that wet look! 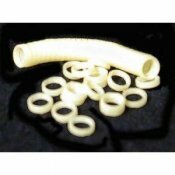 Rubber bands for use with Rubber Bang! Looks just like spillied Ketchup on a table. Set is anywhere and fool them! 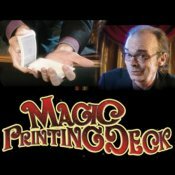 Miraculous Silk Vanishing A silk is inserted into a paper pocket within a diagonally folded square board The board is shaken... 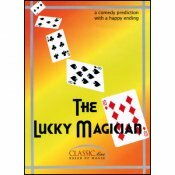 The paper pocket comes out a bang no trace of the silk The board is unfolded.... The silk has totally VANISHED!! 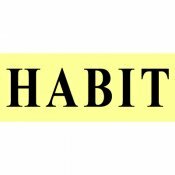 A paper strip HABIT written on it is torn in pieces according to the patter and finally restored to the amazement. 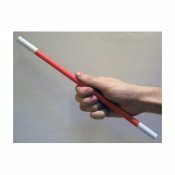 Magic Wand by Bazar de Magia - 13.5"
Strong black plastic wand with white tips measures 13.5 inches long. 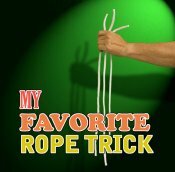 IMPOSSIBLE Rope Magic! A rope cut into three unequal lengths, changes into equal lengths! Then it changes back again! You show your friends three separate pieces of rope, each one is a different length. Magically, you stretch the ropes until they are all the same length! Then, the ropes are balled up and placed into your friend's hands where they are restored to their original sizes! 25 replacement rubberbands for FirstHand. No instructions included. 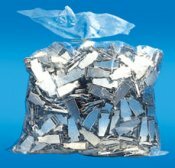 Bag of tiny rubberbands to replace on your Cigarette thru Quarter, Half dollar, or other coin effects. 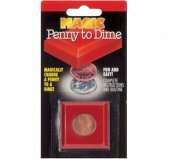 Great CloseUp Fooler Tap a penny with the magical block and it instantly changes into a dime! 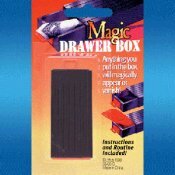 Easy to do - good beginning magic trick! 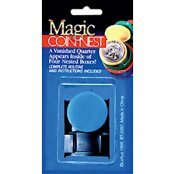 Attractive Blister Card Magician's secret plastic cup and elastic device to vanish silks and cloth items. Supplied with a small silk hanky. FUNNY Production !! 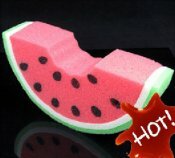 This juicy slice of watermelon measures 9 inches long by 4 inches deep by 1 ¼ inches thick. It is made of foam and can be produced from any production device such as a dove pan, square circle production. The piece of rope is passed thru a block, VISIBLY CUT and then restored! 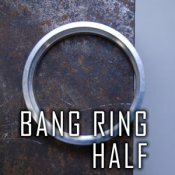 Bang rings Are for different effects that use them such as Scotch and Soda, $1.35, penny dime. 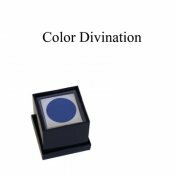 With this easy to do trick you will amaze your spectators when you are predicting the color they chose. 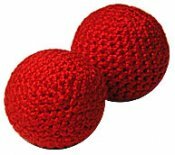 Hand-made, red crochet balls perfect for Cups and Balls and Chop Cup routines and more. 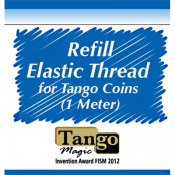 Size Approximately : 1 inch Sold individually. 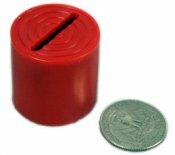 Coins are dropped into a small cup. But which cup really has the coin? Coins jump from cup to cup, and back again. Neat close-up. Very easy to do! The original floating poo! Drop these in a swimming pool, baby's bath, toilet or more. This is one giant turd complete with a moldy peanut stuck in it. 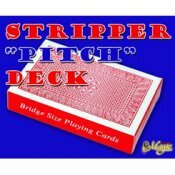 If your business is in a resort area with plenty of swimming pools - this is a hot selling item! 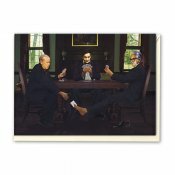 A Stunning One Card Color Change! Easy to do, yet it appears as if you've performed a miracle! If people saw this on TV, they'd swear it was a camera trick - it looks that incredible! Download it today! 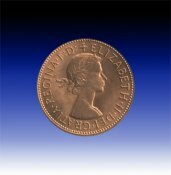 This is an authentic English Penny all the way from across the Atlantic! 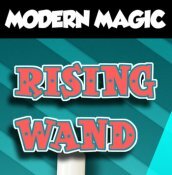 Magicians Wax - 1/4 oz. 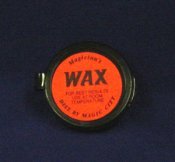 Magicians Wax -1/4 oz. Container. 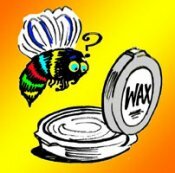 This wax is best used for invisible thread & card work. For best results use at room temperature. 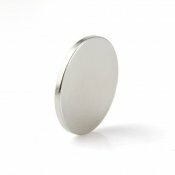 This is a super strong neodymium magnet, perfect for using in your effects or replacing existing magnets. Size is 25mm x 3mm. 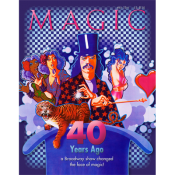 Toss, watch, and listen to them magically sing! 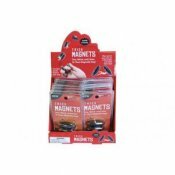 Each package contains 2 super strong magnets! Place next to each other on a flat surface and watch them react! The ball is shown in the vase. Magically the ball disappears from the vase! 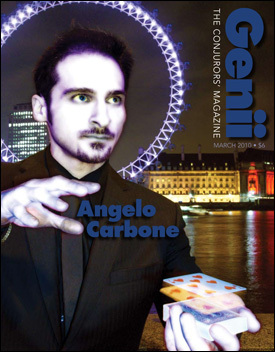 Then it reappears, only to vanish again! 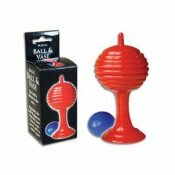 This specific design of the classic ball and vase illusion makes the secret undetectable! 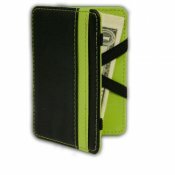 Stands 3.5 inches tall by 1.75 inches wide. Comes boxed.